As he often has been depicted, was Thomas Lincoln merely an illiterate farmer who objected to his son's passion for reading and learning when the family lived in the Indiana wilderness? What was the relationship like between young Abe Lincoln and his mother, Nancy Hanks Lincoln, who died in Indiana when he was 9 years old? And what about the future 16th president's relationship with Sarah Johnston Lincoln, the widow from Kentucky who became his stepmother? Are there misconceptions about these parental relationships with Abe, who lived in southwestern Indiana during the character-shaping span between ages 7 to 21? William E. Bartelt, the author of There I Grew Up: Remembering Abraham Lincoln's Youth (Indiana Historical Society Press, 2008). 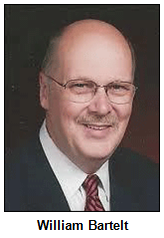 Widely considered the foremost Indiana-based authority about Lincoln's youth in the new Hoosier state (the Lincolns moved here in 1816, the year Indiana became a state), Bill lives in Newburgh, is a board member of the Indiana Historical Society and served on committees of the Federal Abraham Lincoln Bicentennial Commission. For more than 15 summers, he worked as a historian at the Lincoln Boyhood National Memorial in Spencer County. Steve Haaff, an industrial arts teacher at South Spencer High School who has become an expert on Thomas Lincoln's woodworking and cabinet-making skills. Steve has done presentations about the furniture Thomas Lincoln built for his pioneer neighbors while living in Kentucky, Indiana and Illinois. 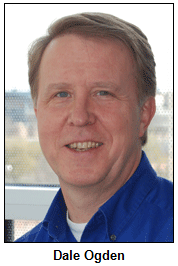 And Dale Ogden, chief curator of cultural history at the Indiana State Museum. Dale was our guest in February 2010 for a Hoosier History Live! show in connection with the opening at the state museum of a blockbuster Lincoln exhibit, which Dale oversaw. With our distinguished guests, Nelson will explore how Abe Lincoln's family life was greatly transformed during his years living in a small cabin in the frontier settlement of Little Pigeon Creek. The family of four - which included Lincoln's older sister, who also was named Sarah - evolved into a blended family after Thomas married Sarah (often called "Sally") Bush Johnston, who had children from her first marriage. And Dennis Hanks, the 18-year-old ward of Nancy Hanks Lincoln's aunt, moved into the one-room Lincoln cabin - and slept in the loft with young Abe - after his guardians died. Amid all of the changing family dynamics, our guests will share insights about the parents of the lanky, book-loving youth who grew up to become perhaps America's greatest leader. Our guest Steve Haaff, who has studied almost every piece of furniture available made by Thomas Lincoln, contends the patriarch long was misunderstood by historians because, as Steve told the Evansville Courier-Press, "they didn't speak the same language." Steve, whose favorite style of furniture is Federalist, the type popular during Thomas Lincoln's era, says the family patriarch would have had to be highly skilled - and a master at calculations - to create the cabinets and other woodwork that he produced. Nancy Hanks Lincoln (1784-1818) died from what frontier communities called "milk sickness" - the result of drinking milk from infected cows that had eaten white snakeroot. In his book, our guest Bill Bartelt describes white snakeroot as "a simple and abundant plant with a delicate white flower. ... Since colonial time, deaths from milk sickness occurred in isolated areas with few residents, drawing little interest from the medical profession." That changed, he continues, when the frequency of deaths swept through frontier settlements like Little Pigeon Creek. He notes that Lincoln and their neighbors would not have known "what caused the milk to become poisoned - and that mystery made it difficult to prevent the deaths." The Lincolns had moved from Hardin County, Kentucky, to what is now Spencer County, Indiana(then Perry County) for several reasons, including disputes over land ownership. Many experts also have concluded that Abe Lincoln's parents objected to slavery. Tall for his age, young Abe was able to help his father build a cabin in Indiana's dense wilderness after the family's arrival. For their neighbors and others in Indiana, Thomas Lincoln made cabinets that displayed highly skilled craftsmanship for the era. They included a corner cabinet - now owned by the Indiana State Museum - that neighbors gave as a wedding gift to their daughter. Referring decades later to his years in Indiana, Abraham Lincoln wrote, "There I grew up," accounting for the title of our guest Bill Bartelt's book. 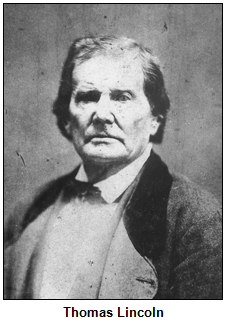 After the death of Nancy Hanks Lincoln, who was buried on a hill near the cabin in southern Indiana, Thomas Lincoln (1778-1851) returned to Kentucky. That's where he married Sarah (or Sally) Bush Johnston, whose first husband had died at least three years earlier. 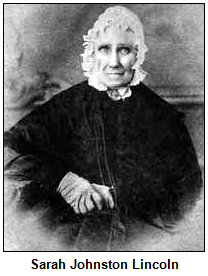 She had three children (Elizabeth, Matilda and John), who moved with her to the Lincoln cabin in Little Pigeon Creek. According to Bill Bartelt's book, young Abe "bonded quickly with his stepmother, who recognized and encouraged his desire to learn and read." The Lincolns lived in Indiana until 1830, when they moved to Illinois. By then, Abe's sister Sarah had married and died in childbirth. Of the three parents who raised Lincoln, only his stepmother lived to see him elected to the presidency. In fact, she outlived her stepson and died in 1869. Guest Roadtripper Terri Gorney of Fort Wayne suggests we enjoy a romantic Valentine's Day at Limberlost, the home of Hoosier author Gene-Stratton Porter in Geneva, Ind., in Adams County, south of Fort Wayne. In addition to wine and dessert tastings, film historian Eric Grayson is generously allowing Limberlost to show the vintage 1934 film A Girl of the Limberlost, based on the book by Gene Stratton-Porter. This special evening event is a fund raiser by the Friends of the Limberlost to help to raise funds to restore Gene Stratton-Porter's 1895 kitchen. Reservations are required; contact Curt or Randy at (260) 368-7428. Dozens of buildings and businesses across Indiana have been named in honor of Abraham Lincoln since his death in 1865. 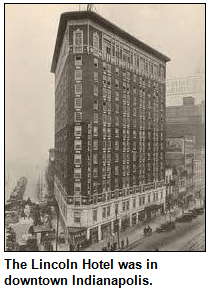 In downtown Indianapolis, the Lincoln Hotel opened in 1918. It became known as one of the city's finest hotels during the first half of the 20th century and was the setting for political, civic and social gatherings, as was the rival Claypool Hotel. During the 1960s, however, both hotels slid downhill. The once-grand Lincoln Hotel was demolished in the early 1970s. On its site, however, one of downtown Indy's first modern, urban hotels opened in 1976. The new hotel was hailed as a step in downtown revitalization. Although the hotel has undergone several renovations since then, it still stands on the site of the former Lincoln Hotel. The prize is a gift certificate to MacNiven's in downtown Indy on Massachusetts Avenue, and a pair of tickets to the James Whitcomb Riley Museum Home, courtesy of Visit Indy. By request, we are publishing the answer to the live History Mystery, in case you didn't catch it on the air. The Feb. 1 History Mystery question: Name the center on Central Avenue in downtown Indianapolis that provides emergency shelter, clothing and food for homeless families with children. The Dayspring Center at 1537 Central Avenue in Indianapolis - near All Saints Episcopal Church - provides emergency shelter, clothing, and food for homeless families with children in central Indiana. Dayspring traces its history to 1984, when Episcopalian volunteers opened a soup kitchen and a shelter in a church basement. Dayspring's center for emergency housing opened in the late 1980s. Nine years later, Dayspring began a transitional housing program to assist former residents who need assistance while working on longer-term goals. The agency estimates more than 10,000 children - and 3,000 families - have been helped at Dayspring Center since it opened. Anniversary soiree on Thursday, Feb. 27 - Be there! Hoosier History Live! 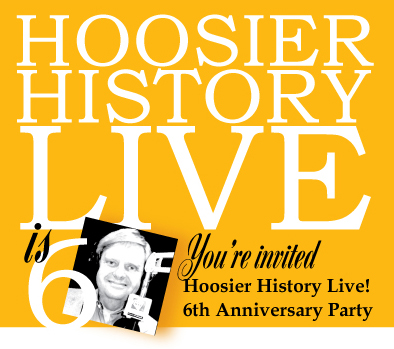 celebrates six years on the air with our annual birthday bash, hosted by our friends at Indiana Landmarks. Mark your calendar for Thursday, Feb. 27, 5 to 7:30 p.m. The event will be at Indiana Landmarks Center at 1201 Central Ave. in downtown Indianapolis. Watch our website for details! Click here to RSVP! During the 1920s, white segregationists in Indianapolis pushed for the creation of the city's only all-black high school. Unlikely as it may have seemed to many at the time, Attucks High School emerged to be a source of black pride for generations of Hoosiers. As Hoosier History Live! salutes Black History Month, we will explore the history of the high school attended by future legends, including basketball superstar Oscar Robertson; jazz musician David Baker; opera star Angela Brown and members of the Tuskegee Airmen, the country's first African-American military aviators. Stanley Warren, an Attucks alum (and former teacher) who became an administrator at DePauw University. Now retired, Dr. Warren is the author of Crispus Attucks High School: Hail to the Green, Hail to the Gold (Donning Co. Publishers, 1998). "The story of Crispus Attucks High School has many ups and downs," he writes, "but its place in history can never be questioned." Pat Payne, director of the Crispus Attucks Museum and of the IPS Center for Multicultural Education. During a long tenure as an IPS teacher, Pat served as president of the Indianapolis Education Association in the 1980s. And Wilma Moore, senior archivist for African-American history at the Indiana Historical Society. Wilma, an Attucks alum, has been a popular guest on several Hoosier History Live! shows. According to several accounts, IPS officials initially wanted to name the all-black school Thomas Jefferson High School. Many black leaders objected both to the creation of the segregated school (African-Americans had been attending Shortridge High School, Manual High School and other IPS schools) as well as to the proposed name. School leaders eventually decided the namesake should be Crispus Attucks, an African-American who protested the British and is believed to have been the first American killed during the Boston Massacre of 1770. By the time the new school opened, Dr. Warren writes, the concept of a separate high school for black students was being explored by other Indiana cities with sizable African-American communities. 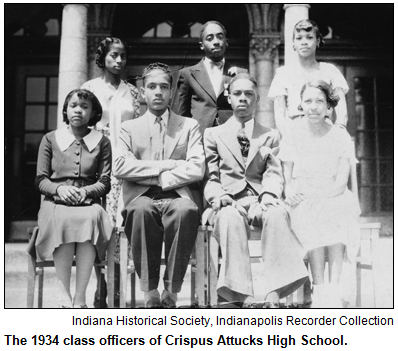 "By 1929, both Gary Roosevelt High School in the northern part of the state and Evansville Lincoln High School in the south replicated the form and function of Crispus Attucks High School," according to his book. With its grand entryway, elegant auditorium and other features, Attucks High School quickly became a social center for the African-American community and a destination for visiting celebrities. Ten years after the school opened, it was visited by track star Jesse Owens, the gold medalist in the 1936 Berlin Olympics. The school's Tigers basketball teams, with stars such as Robertson and other future pro players, dominated the high school basketball tournament in the mid-1950s. Coached by Ray Crowe and clad in green and gold uniforms, the Tigers won back-to-back state championships. 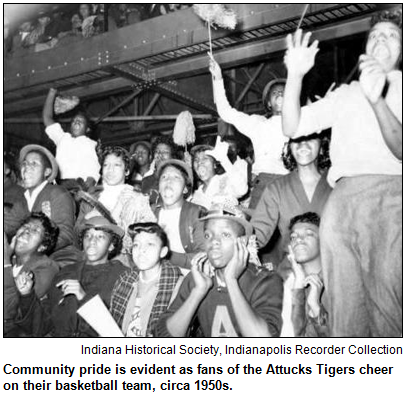 With the initial victory in 1955, Attucks became the country's first all-black high school to capture a state title in any sport. In the late 1960s, Attucks became the country's first all-black high school to be integrated at its original site, according to accounts in The Indianapolis News. Despite an outcry from many alumni and civic leaders, Attucks was converted to a junior high in 1986. It reopened as a high school - the Crispus Attucks High School Medical Magnet - in 2006.